Paste Magazine: Congratulations! How does it feel to have a second season? DJ Cotrona: Thank you. It feels great. I’m really proud of the project, and I love our whole cast and crew—Robert and everybody on our creative team. I’m very happy to get to keep working with these guys, and I’m excited for the fans to see what we’ve been up to. Paste: Have you thought about long this show might last? Cotrona: That is up to Robert. I know Robert and our showrunner [Carlos Coto] have some big plans to go five seasons, but again, there are a lot of factors involved in those type of decisions. I hope we get to continue for a long time to come, we’re having a great time. Paste: From what I hear, the cast and crew have a collaborative rapport and you’re like family. What’s a typical day on set like? That bleeds into our relationships. The fact that we’re down there [together]—it’s the same crew that Robert uses for the majority of his career; they’re all very familiar with each other and work really quickly as a tight-knit group. The same goes for the cast. For the first two seasons, we all lived in the same place in Austin while shooting. We truly are lucky in a sense that we all do really get along and have a great time. 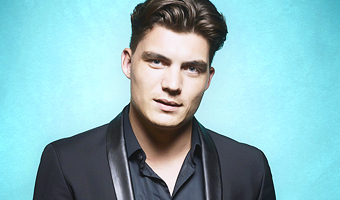 Paste: You and Zane Holtz seem to have a great relationship. Cotrona: I love Zane to death and we get along great. We’re very fortunate to get along off camera, and we love working together. I think we have a similar approach to our work and a similar attitude about this industry and about being actors. We realize how lucky we are and appreciate this opportunity. I really mean it, regardless if you’re working on a big film, or you’re working on a television series, it’s very, very rare to get the amount of creative freedom we are afforded by Robert and our showrunner, Carlos. Especially when you’re dealing with such iconic characters that Robert and Quentin [Tarantino] created. When you get to work on characters so beloved and well-known, you expect to get the minimum amount of creative control, but it’s truly the opposite of it. We’re in the trenches everyday trying to do the best we can. Site Updates / Comments Off on New Layouts! I have put up new layouts here on the main site and in the gallery! The site has been using the first layout for over a year now, so I thought it was time for a change. I wanted the site to have a new look before the Season 2 premiere, and I’m glad I made it in time. I kept the style of the sidebar and the posts because I still love the way they look, I only altered the colours. Hope you all like it! In case you missed it, check out another featurette for From Dusk Till Dawn: The Series Season 2 released recently. I have also added one new poster and one episode still to the gallery!